Op-Ed: Does Racism Have a Place in Chassidus? Recently, I spent Shabbos in a non-Lubavitch community. On the way to shul, my hostess bumped into a friend of hers and invited her to join us. The friend declined and we said good shabbos. Half a block away, my hostess commented, “I try to be nice to people who are less than me. It’s a mitzvah.” I didn’t say anything, but inside I was pinched. What does that mean— “less than me”? How can you say that about another Jew? Having spent a few years in a Bais Yaakov school, I like to focus on the similarities between Lubavitch and Litvish. But this incident really hit the nail on the head. As I discussed with my friends, a real Lubavitcher would never think that way. When you learn Chassidus, you look at each Jew for what s/he is: a Chelek Eloka Mimaal Mamesh – a pure piece of divinity! In Chabad, there is no such thing as greater or less—each and every Jew is equally valuable just for the fact that s/he is Jewish. Now, the purpose of this article is not to complain about the shidduch crisis, or to glorify Brazilians. The purpose of this article is- very simply- to bring a beautiful teaching of the Alter Rebbe to some Lubavitchers’ attention. The beautiful teaching is Perek Lev (Chapter 32) of Tanya—enough said. If you don’t think that you will get along mentality wise with someone from a specific culture or nationality, so be it. It may not always be smart, but so be it. But when you take it to the next level and begin to spew slanderous accusations against this nationality, I must ask you: What makes you so racist? Is it because you had a Brazilian roommate who was smarter than you, or had a bigger nose, or tucked her sweaters in her skirts? Seriously- get a grip. In hebrew school today, we turned on the flashlights of our phones and covered them with pieces of tissue paper. Even after the phones were wrapped in seven layers of tissue paper, the light shone through. As my students pointed out, this is just like the light of a Jew’s neshama- it shines through everything. Now imagine that tomorrow, you take one minute to look at one Jew and think, Hey! That’s a piece of hashem! Wow-how precious! The world would be a little different, wouldn’t it? The world would be a little bit more light. The world would be a little happier. The world would be a little more Lubavitch. Most importantly, the world would be a little closer to the Geula. Nothing wrong with being polite and nice and leave it at that. I deal with a lot of people of color let’s just say they think and understand things a little different. I’ve seen much casual rasicm displayed by my lubavitch peers in my time, but reading through this comment thread, one can’t help but be a bit overwhelmed by the sick bigoted views being expressed by commentors who i would assume/hope wouldn’t have the gall to express aloud in public when unable to hide behind a computer. I wish i could say I’m shocked but it unfortunately doesn’t surprise me. i dare you to look through these comments and claim otherwise. Have you looked in the mirror? You too are hiding behind a computer as you spew venom while resorting to name-calling. You call anyone who disagrees with you “sick”, “bigot”, “racist”, but that is Democracy. In your mind, everyone has a right to an opinion as long as they agree with you! It is you who is sick and twisted..
It’s not racism to acknowledge that people from a certain culture have certain tendencies and attitudes. If a particular claim is mistaken you can try to point out the mistake, bearing in mind that you might be the one who is mistaken. But when you attack all such claims as “racist” you only discredit yourself. When you call them slanderous you should remember that it’s not slander if it’s true. Why do you assume that this person had a Brazilian roommate who was smarter than her? Maybe she had a Braziian roommate who was violent. Maybe she knew several Brazlians who were violent. I have no opinion on whether Brazilian Jews really are more likely than other Jews to have violent personalities; this is the first time I’ve ever heard such a claim, and I have no information to assess its truth. But if someone were to claim that they know it to be true, I would have no basis on which to reject it; and even if I did know it to be false, I would have no way of knowing how that person came to believe it. Your ad hominem attack on this person only discredits your entire case. You’d be better off saying that while this person might think she had good grounds for her belief, you have more experience than she does, and on that basis you know her to be mistaken. Please reread the article. Even if the Shadchan HEARD OF **one** case of violence, the mother of the girl assured her that dealing with so many cases of divorce in their communitie, she’d never encountered violence. The Shadchan would not surrender claiming that the violence comes out in different ways. That is the problem with racists: They do not let the facts confuse them. How do you know the shadchan heard of one case? How do you know she didn’t KNOW of SEVERAL cases? How do you know what the facts are? The idea that race and cultural upbringing make no difference in a person has no basis in chassidus or anywhere in Torah. It’s also plainly ridiculous. Everything has an effect. The gemoro says that people from different countries are different. It also says that certain families, or tribes, have certain traits. For instance it says that Kohanim tend to have short tempers. That might not be relevant today, but if the gemoro says so then surely it was true at that time, and would be relevant for shiduchim then. My father is a Kohen and has the longest sweetest temper I’ve ever known, except for his 5 brothers, who are ALL even tempered lights.This is ridiculous. Rivka, who are you to call the gemoro ridiculous? In shidduchim and the subsequent marriage, compatibility is paramount. People of similar backgrounds, cultures and upbringings simply have a better chance to succeed in living together and building a bayis neeman byisroel. Therefore, as a general rules, it makes perfect sense that “BLANK” (fill in the blank of a group) should marry “BLANK”. Of course there are exceptions, such as, an FFB who is “non-typical” or “different” than other FFB’s, should consider a BT or a Ger. (1) a BT has the 100% full status of being part of the Jewish nation, while IN HALACHA, a Ger is not 100% part of “Khal Hashem” – therefore, although a mamzer cannot marry within the Jewish nation including prohibition to marry a BT, a Ger can marry a mamzer (according to R’ Yosi and halacha, see Tosefta Kiddushin 5:2-3). (2) a BT may actually have Yichus from previous generations while a Ger does not have any Yichus. This is not to chas v’sholem denigrate the Ger, indeed, many Gerim accomplished great things (example Targum Unkeles etc. ), but that does not change the reality that a Ger cannot take any position of Leadership in Klal Yisroel (“sh’rorah”). [I don’t know Chabad Shlichus policy, if they allow a Ger to be “Head Shaliach” anywhere, but Halacha appears to prohibit it]. Also, when Moshiach comes, although Gerim will have a part of Eretz Yisroel – according to SOME meforshim, but the portion allocated to Gerim will NOT be with Eretz Yisroel proper – which was divided to the 12 shvotim, and a Ger has no part in that, but rather the “expanded” Eretz Yisroel, outside the original borders. But we are commanded to accept the Ger with love and overlook these undisputed deficiencies in his/her status from other full fledged Jews. Indeed, the average “Jew on the street” is oblivious to this reality. However, when it comes to shidduchim, Yichus IS 100% a PARAMOUNT factor to consider. Remember Avrohom Avinu INSISTED that Eliezer ONLY consider a shidduch for Yitzchok from Avrohom’s blood-line, because when considering shidduchim, genetic Yichus is important then “yichus atzmo” (self-accomplishments of the individual). Aharon Hachohen specifically chose his wife BECAUSE of her yichus, as the possuk stresses: “Elisheva bas Aminodov the sister of Nachshon”. Therefore, as the expression goes, “birds of feather flock together”. We should all seek shidduchim WITHIN “our kind”, specifically: similar backgrounds, cultures, upbringings, families (unless there is a need to seek elsewhere due to some personal defect). With the growing challenges of sustaining successful marriages while surrounded by failed ones, this is relevant today even more than earlier generations. I have never before seen any comment as obscene. K clearly has zero ahvas yisroel and propagates hatred and diversity. To suggest that a ger, who chose yiddishkeit out of love for G-d and His religion, is less of a Yid than anyone else, is disgusting. I don’t care what halacha says about it, and if that is the halacha, then I know that halacha is wrong. Some of the greatest sages were gerim. K picks and chooses proof from Avrohom who insisted on getting a wife for Yitzchok from his own gene pool. Aharon who married yichus. But K ignores many others, such as Moshe Rabbenu who married Tzipora, a convert. Yehoshua married Rochov The Harlot, a convert. These are our leaders! How dare K suggest that there is a flaw in someone who marries a ger? That is disgusting. Excuse me?! Much as I hate to agree with K, this is outright kefirah. You have no right to such an opinion. The halacha is always right, by definition, and if it seems wrong accordign to your values then you must adjust your values. That is not negotiable. K is perfectly correct when he writes that gerim are not “kehal Hashem”. However, he’s incorrect when he writes that they have no yichus. Gerim have the best yichus possible: Avrohom and Soroh. And the gemoroh in Horiyos says “everyone want to marry a giyores”. Not understanding or believing ‘k’ is not indicative of their lack of love for a fellow Jew. They may not be %100 on the mark, but they are most definitely correct when they bring forth that a ger may not hold positions of “sh’roro” within the Jewish community. As for your comments regarding halacha, well… It is halacha which allows for a gentile to convert to Judaism, and it is halacha that determines what the status of the convert will be. In general, any allegations made in such forums must be take with a grain of salt. Your comment, where you proclaim disgust with a fellow Jew and a blatant disregard for halcha; “k’s”, which seems to doom the convert to a permanent second-tier status while completely oblivious to the rulings of ‘kivan shenitma nitma’ and many others which clearly allow for the absorption of converts within the Jewish nation; and mine which takes a swipe at both of your. That is a disgusting point of view. PLEASE do not be a shadchan in reality. K, you make a mockery of the sources you quote and if i had the time I’d go through each one. Now we see what darkness lies in the heart of a YU troll who pretends to be from BMG, vchulu vda”l. The author is spot on and if you want to know part of the reason for the shidduchim crisis it’s because many are reactionary, scared yentas/yenters who readily believe and run with the most incredulous nonsense, which they think makes them cautious and smart, when they are anything but. The answer to that is for more people with brains and hearts, or just basic human decency, to enter into that service. Maybe she meant ‘have’ less than me? Maybe she was better off financially then her friend? Some are more equal than others. The caste system is alive and well in Judaism. See chapter Asara Yuchsim – 10 levels of yichus among the Jews. Even in the desert, there were “camps”, one for “regular Jews” and one for the Levies. Among the “regular Jews” there were the tribe of Judah who were the “leaders”. Each tribe had a leader. It trickled down to the simplest Jew who was at the bottom of the totem pole: the wood chopper and the water drawer. Who said anything about looking down? The writer’s complaint is that shadchonim take into account where a Jew is from, and that’s a stupid complaint. Every Jew has a holy neshomo that is literally part of Hashem, but no two people are alike, and a person’s upbringing and culture definitely make a huge difference that shadchonim must take into account. It says in “Duties of the Heart” that its central to Torah NOT to think you are better than anybody. In Chassidisher circles, including Lubavitch ( I would assume Litivish is no different), we are taught that because a Jew has a Nefesh Elokis, we are better than those who don’t. 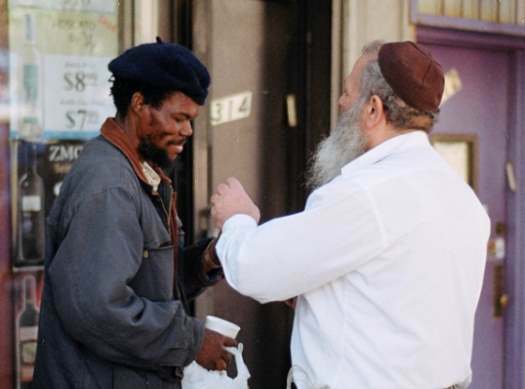 So, if an African converts to Judaism, he/she is better than most white people or any race. If there are two shidduch candidates of similar qualification, would you rather your daughter marry the White BT or a Black/Oriental FFB (born frum to a ger)? Both candidates are of equal quality except for the race part, indeed the white is missing a frum upbringing while the black or oriental had that upbringing, yet you would choose the white! (Probably also due to the fact that the grandchildren will be black or oriental vs white). All else being equal the black FFB is certainly a better shiduch than the white BT, both because they were conceived in kedusha and because they were brought up in the same culture. But personality and character traits matter, and these are often connected with genetics, so one must not rush into such a proposal, but consider it carefully. There are no fixed rules in shiduchim, only broad guidelines, each of which has many exceptions. The one thing that shouldn’t matter is the grandchildren’s skin color: there is no way to predict what social attitudes will be in 20 or 30 years. Following this logic, Milhouse would also pick a Ger before a BT, since a Ger begins life “fresh” as if conceived in kedusha, while a BT remains “tainted” (by not being a “mikveh baby”). Firstly, apparently Milhouse disagrees with R’ Moshe about the presumption that a BT was not conceived in kedusha (as he writes in his Tshuvos that one can rely on swimming / bathing etc. to negate ben-nidah status). Secondly, this would completely ignore other issues of a Ger which do not apply to a BT. Regarding the Ger, Chazal tell us “suro rah”. Maharal (Shemos 23:9): Don’t upset the ger because his “soro” is evil. This is referring to his evil inclination which causes a person to deviate – is especially evil in a ger. Because of this he is predisposed to revert back to his earlier ways. Consequently one should not upset him. Rashi (Horios 13a):Because the ger’s “soron rah”. That means that the desire in the ger’s heart is to do evil more than the average. The term “soro” refers to their master as it says in Bava Metzia (49b) where it also is understood as the evil inclination (yetzer harah) which is his master – is evil. Sifsei Chachomim (Shemos 23:9): Don’t upset the ger because his innate inclination is to evil – Some explain this term “sar” refers to the evil inclination and so it means that because his evil inclination is problematic and he is easily influenced to do evil. Others say that “sar” indicates that he will turn from the correct path and will not return despite pleading. These “concerns” ONLY apply to Gerim and do not apply to BT’s. It’s an open gemoroh that “everyone runs to marry a giyores”. “As if” is not the same as “actually”. Horoso bikdusha is still a valuable thing. It should never be the only consideration, but it should always be a consideration. A black FFB, especially if the father is a talmid chochom and the parents are yir’ei shomayim, is certainly a better shidduch than a white person who doesn’t have those ma’alos. But as I wrote, one must take everything into consideration, and not decide based on just one or two factors. The main thing is that the chosson and kallah should be compatible, and all of these things are merely not-very-reliable indicators to whether that is so. At the end of the day no two individuals are the same, and even with the best match you need lots of siyato dishmayo. I agree with comment made by K.
Geza must only marry geza. FFB’s must only marry FFB’s. BT’s must only marry BT’s. Ger must only marry a ger (or a mamzur). Israeli’s must only marry Israeli’s. And Brazilians must marry Brazillians. This is what works! It is the reality and facts on the ground. Unless, as K wrote and I agree, the Geza or FFB has a problem disqualifying him/her from making a shidduch with a FFB, then s/he should accept a BT or Ger. That’s ridiculous. There are no fixed rules. There are only very broad guidelines, with many many exceptions. But as a general guideline, invei hagefen should marry invei hagefen. Similar age single should only marry a similar aged person. This was a well know “rule” held by many gedolei Yisroel. Of course every rule has its exceptions, but these are guidelines of daas Torah, not merely “broad” guidelines. הגרש”ז אויירבאך זצ”ל מבאר את טעם הדבר: גפן, כידוע, אינה יכולה לעמוד בפני עצמה, אלא חייבים לתומכה על גבי עצים שכבר קדמו לה, כדברי המשנה בכלאיים (ו, ג): “המדלה את הגפן…”. Invei Hagefen describes the grape vine that cannot stand on it’s own and needs he support of other trees that grew before it. A new couple needs to support itself on the ways of their forefathers. Therefore, the forefathers must have lived lives of Torah and kedusha. A FFB has this yichus and can sing invei hagefen. A BT or a Ger does not have it. And yet, K, we find that grapevines that are not supported (but trail all over the ground) are actually better – see Menachos 86b (and from there in Hil. Issurei Mizbe’ach 7:6) that wine from such grapes is preferable for nesachim. Aside from which, you seem to have misinterpreted R. Auerbach’s point. The “עצים שכבר קדמוהו,” the אבותינו הקדושים, refer to the fathers (and mothers) of the Jewish people as a whole – hence the reference to מראש צורים גו’ ומגבעות, which refers to the Avos and Imahos. A baal teshuvah, and even a ger, has that yichus just as much as any FFB. אפשר לכל גר לומר אשר נשבע ה’ לאבותינו, מפני שאברהם אב לכל באי העולם לפי שלימדם האמונה והדת. אב המון גוים נתתיך, הרי הוא אב כל העולם כולו Avrohom was Father to the ENTIRE WORLD! This “Fatherhood” id NOT genetic Yichus, but rather an Honorary Fatherhood, like the “Fathers of Confederation” or that Dr. Freud was the Father of Psycology. In shidduchim, the bloodline / genetic Yichus is of paramount importance! K, it’s more than that. I know a ger who went to the old Satmar Rebbe ztz”l for a brocho, and just wrote in his tzetel “ben Soroh”, without any indication that he was a ger. The Rebbe remarked that his mother is a great tzadeikes; he was puzzled by this, and told the Rebbe that his mother isn’t even Jewish, and the Rebbe said “now I understand what I saw; your mother is Soroh Imeinu, and she is a great tzadeikes”. So there is a real connection between geirim and Avrohom and Soroh, to the extent that the Satmar Rebbe was able to see on their “son” that he is the son of tzadikim, without knowing which ones. LOL! Like saying every psychologist is a descendant from Dr. Freud who was the Father of Psychology! This is plain and obvious from the SOURCE of Rambam in Pirush Hamishnayos and Mishna Torah that since Avrohom was the Father of all of Mankind, he is also considered the “Father” of Gerim too. However, the relevant yichus by shidducim is the genetic bloodline yichus. Gerim have no such yichus. If gerim don’t have a real connection with Avrohom and Soroh, how do you explain the story I just told you? This is not some fairy tale from a book; I heard it directly from the person it happened to. Milhouse, even drush in Talmud or Medrash does not always conform with Halacha, kal v’chomer a chassidish story. 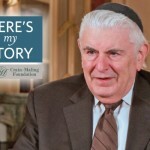 We do not base halacha on stories! I write this in contrast to a “ma’aseh rav” which is a hanhogah of a talmid chochom – maaseh meaning ACTIONS, not merely words. K, you’re not making any sense. This is not a “drush”, or a story that may or may not have happened, this is something that actually happened. Observable reality is the greatest proof there can possibly be. . How can it not be a far better proof than anything written in a sefer? If you think what you say is right, then you need to explain how this could have happened. Because according to you it should have been impossible. Here’s one possible theory: Suppose the ger had a chip on his shoulder and needed chzuk, that would explain the Satmar Rebbe’s comments. In any event, like aggadah, we cannot form halacha based on it. What are you talking about? How does that explain anything? The Rebbe didn’t know that he was a ger. All he saw was that his mother was a tzadeikes. If Soroh is not really his mother, if he really had no more connection to her than anyone else does, how could the Rebbe have seen that? CH S – Some might mistake your sarcasm for an actual post. The fact is that there are some who generally work this way. Which is why many more sane people absolutely need to enter into this service in order to properly counter such attitudes (which are indicative of a lot more than just the examples you give), ltoivas kol hakohol. …it’s a nationality. And, #1 (Larry) is a racist: “I deal with a lot of people of color let’s just say they think and understand things a little different.” REALLY? Yes, in general they do. That’s a fact. I find it very distressing to read what #5 and #10 have written. Nobody is better than anybody else. Excuse me, and get a grip on reality. You wrote that “nobody is better than anybody else”. Well, that sounds so left-wing feel-good kool, but it is simply untrue because some people are better than others because they improved themselves, or they come from royalty. As an extreme example, is the Rebbe not better than anybody else? Is the Rebbe’s wife not better than other ladies? I come from a large family. Almost every single one of my siblings is married to someone from not his or her country. My spouse is from Brazil. Some are from Geza families, others from non-geza, others from BT families. We are all blessed with strong and great marriages, BH. Instead of discussing issues based on your upset stomachs, check into the families that actually do this, and see how stupid and impractical your comments are. You come from a large family – but is the family Gehzah, FFB or BT or Gerim? If the latter, I congratulate those who arried “in”. If the former, I guess a large family has all kinds, some needing to marry “out”. …and the caterpillar has become the butterfly. This is why FFB families will only “accept” a shidduch with a BT or a Ger if the FFB “has a problem”. So, if you are a BT or a Ger, despite the fact that the FFBs will tell you that they accept you 100% as part of the community, remember that if they redt you a shidduch to one of “their kind” that person has something seriously wrong with them. That’s why many marriages between FFBs and BTs end in divorce with children who are very damaged because a non-suspecting BT married an FFB who had a serious mental illness or other serious issue that was hidden from the BT before marriage. Buyer beware!! A BT or a Ger would get better quality shidduchim amongst their own. Problem is they desperately need to satisfy their egos of being “accepted” in the mainstream. The foolishness is that they end up with the defective ones. So listen to the wisdom and set aside your ego and need to be accepted. Don’t let the chip on your shoulder dictate your life and leave you stuck. I always say better a cheap product that works, than an expensive product that is broken beyond repair. I can’t believe your comment! your comment is a whole topic on its own and its should put on the new york headlines! thank you so much for offically saying it! i thought i was the only one going through this. i’m a bas baal teshuva from both parents and how much i have to say on this topic… being treated as a full bt by ffb’s. the Rebbe clearly states a bt is higher then a tzaddik, how come ffb society are disregarding the Rebbe’s words? yes the truth hurts. ffb have no pnimiyus and take for granted who their grandparents risked their lives for kiddush Hashem while bt have pnimiyus and cherishing Hashem’s torah and every word of the Rebbe as precious gems, and the ffb’s will never accept that! Often it’s the exact opposite: the BT is so wonderful that the slight flaw of background is not considered important. Not true. There are many BTs who married FFBs from the best famlies, and been fully accepted, not because there was something wrong with the FFB, but because there was something wonderful about the BT. It works both ways. To milhouse: i will not argue but from personally going through and seeing others – its not true what your claiming. All you’re telling me is that you are not such a wonderful catch, so the shiduch you found was someone with a flaw. Your experience is just that; you have no basis for claiming that it’s the general rule. Maybe if you’d been a more desirable person you could have found a better shiduch. To milhouse: speak with avahas yisrael and dont assume. this is a highly sensitive and personal topic and not trust or respect someone who went through, i can take it your as good as the ffb’s and you will continue to stand up for them, so there isn’t even a need to say my side of the story. thanks! p.s. on the contrary i’m to good to be true BUT the only thing i’m here for the ffb’s is to follow their will/rules NOT HASHEM’S TORAH AND THE REBBE, cant say or have a choice in any matter and i should be very lucky they took me! dont judge a person till u come in their place-pls! now even after this and u still disagree then its okay but as mentioned before you’ll continue to stand up for them so there is no need for me to speak further…. You are the one complaining that the only FFB who will marry a BT is someone who is so flawed that no FFB will marry them. I’m telling you that may be your experience, because you’re not so wonderful yourself, but it is not the general rule. It’s true that all else being equal a person should aspire to marry an FFB rather than a BT, but all else is rarely equal. An FFB marrying a BT can happen for two reasons: either there’s something wrong with the FFB, or there’s something right with the BT. Either the FFB has flaws that people with better choices don’t want, or the BT has qualities that everyone wants, and that are more important than the lack of yichus. And from my observation the second way happens a lot. I know many cases where FFBs with all the ma’alos, who could have married anyone, have married BTs, because those BTs were so good that everyone was after them. This is not rare, it happens all the time. To milhouse: your just imposing on me based on what u witnessed and didnt even read my p.s. in my last reply- “it works both ways”no? As a Gerer Chassid I am deeply offended by K writing that Ger has no yichus. Ger chassidim have plenty of yichus! Stop putting us down! Reading these comments it seems that a lot of people sing “invei hagefen be’invei hagefen dovor no’eh umiskabeil”, but they have no idea what it means, or they are lying. “לעולם ימכור אדם כל מה שיש לו וישא בת ת”ח וישיא בתו לת”ח משל לענבי הגפן בענבי הגפן דבר נאה ומתקבל ולא ישא בת עם הארץ משל לענבי הגפן בענבי הסנה דבר כעור” . Note that the CHazal makes NO MENTION that the person himself is a Talmid Chochem. Rather the need to marry off his son to the daughter of a Talmid Chochom or his daughter to a Talmid Chochom. Rather, Chazal are telling us to INTERTWINE and MESH our lives around Talmidei Chachomim like a vine which intertwines and meshes. Popular culture has misused and misinterpreted this Chazal. Indeed, we are lying when we sing this song at a wedding that the groom is not a Talmid Chochom or when the kallah’s father is a well know am-ha’aretz. K, the gemoroh clearly says that when both sides are “invei hagefen” it’s beautiful and acceptable, not when only one side is “invei hagefen” and the other is “invei hasneh”. It doesn’t mention that the “odom” it’s directed at is a talmid chochom, because it doesn’t have to; who else is going to heed this advice? There was once a gevir who proposed to make a shiduch with the Maharal Miprague’s daughter. The Maharal objected that the shiduch was impossible because the chosson’s name was the same as his. When the gevir protested that it wasn’t so, the Maharal explained that Chazal say “whoever marries his daughter to an am ho’oretz may as well tie her up and throw her to a lion”, and since his name was Leib his daughter could not marry an am ho’oretz. So let me get it clear, the song invei hagefen is only about a marriage between talmidei chachomim??? Um, yes, what else did you think it was about? I though “invei hagefen” was to highlight Chassidim marrying Chassidim, and FFB Jews marrying FFB Jews. How could it be about that? When those words were written there were no chassidim, and everyone was FFB. I am a brazilian BT who lived in CH for a few yrs in the 90’s and when it came to shiduchim l had no problem of getting married with a FFB and from CH… but” l” wanted to marry someone from Brazil bc we have the same background… and l think this is extremelly important in a family! Language, understanting and even jokes!! And by the way we live in Israel and we are very loved here! Work with the shluchim and bring a lot to the comunity…I mean the Brazilians in general have a very good reputation as CLEAN! SMART! FUN PEOPLE! BRILLIANT STUDENTS! AND COME FROM GOOD FAMS, specially girls from seminary! Don’t judge and generalize everybody, not all the americans are IDIOTS FOOLISH AND ONLY LIKES SHOPPING! Completely no sense with this gezha names today is not gezha is money and kavod !! Com’on stop and see around gezha = money today !!!! So those gezha can stay in their deep ground ! In math, if A = B, then B must = A. But if gezha = money, as you wrote, does money = gehza???? Is Donald Trump (money) = gehza??? Thank you for summing it up for everyone. All these people who doth protest too much about not being racists need to admit their conditions. Thank you. Clearly the many comments are by people who actually did not listen to a word the Rebbe said and his life’s mission. Oy, and we wonder why moshiach isn’t here. Personally, I am sick to my stomach. Only because of the Rebbe, and how he was very clear about this am I still here. Oh and #9, twisting Torah to justify your prejudice IS obscene. Geje is overrated especially today. The source for the entire concept of “Gezah” is Moshiach, who is from “Gezah Yishai”. Do you also think Moshiach is “overrated”? But if the BT family has MONEY ohhh yeah they will be loved and more than welcome!! Agree totaly with #31!! I’ve seen this a lot!!! To #28-I don’t think “ger” means the Ger chassidim here. Doesn’t it mean “convert”? Uh, right! Ger chassidim are chassidim who converted. Ethiopians Jews lv met actually speak excellent ivrit better than me with straight to curly hair and they actually know what tribe there from as the offspring of Melek Shlomo. lm Ashkenazic from Europe and still dont know what exact tribe in from…go fiqure Oy Vey! “They” may “know” what tribe they are from, but WE are not even certain they are Jewish, and as such, lest we forget that Ethiopians Jews are required to undergo a Gerus M’sofek. They are certainly not descended from Shlomo Hamelech. That is a silly fairy tale, and if they believe it then they don’t know anything. The Radvaz wrote that they were from Shevet Don, but that does not comport with their own “tradition”, so it’s anyone’s guess where the Radvaz got it. If he got it from the book attributed to Eldad Hadani then it’s not worth anything, because that book is a notorious forgery. DNA tests also seem to show that they are not descended from any of the shevotim. In addition, if they were really descended from Jews surely they’d have at least some of the Torah sheb’al peh, or some Hebrew prayers, or something that they didn’t get from their Xian neighbors. More likely they are descended from Xians who rejected the NT, and decided to follow only the “Old Testament”, but never became geirim. Since when is a Ger NOT part of Klal Yisroel??? Am I ignorant of Halacha by believing that a Ger is a full Jew, with all the rights and responsibilities that pertain therein? Don’t they obtain a Yiddishe Neshama when they promise to accept Toras Moshe and toivel in the Mikvah under the supervision of a Beis Din? Regarding communities, it’s well know that people coming from certain countries have a different culture than Americans. We tend to be more liberal and open minded, but that is no excuse for a “culture” of hitting one’ wife, yelling and screaming at her, beating up children, or cheating on your spouse. These bad attitudes come from the Goyishe culture of the countries of origin, not the Torah. For example, beating one’s wife may be acceptable among the Russian peasants, especially a nice big daily dose of Vodka. However, it was NEVER acceptable for an Erliche Yid. Many communities outside of the United States have cultures of violence which must be addressed. Unfortunately they are not, and abuse continues among these communities, rachmana litzlan. Yes, you ARE totally ignorant of Halacha. A Ger CAN marry a mamzer/es, even though a mamzer/es cannot marry within Khal Hashem, because… a Ger is NOT considered part of Khal Hashem. This is the undisputed Halacha, whether you agree with it or not. A ger is part of klal yisroel, and has a neshomo which is Chelek Eloka Mimaal Mamosh, but he is not part of “kehal Hashem”. That is an explicit gemoro. Since when is there a distinction between Khal Hashem and Klal Yisroel? He meant that Chabad is part of Khal Hashem!! Is K saying that Chabad is only part of Khal Hashem and not Klal Yisroel, or part of Klal Yisroel and not part of Khal Hashem? Is he implying that Chabad can marry mamzerim? I have never seen a definition of klal yisroel. It’s not a term that appears in halocho. But as generally used it means all yidden, as the words imply. כל אשר בשם ישראל יכונה. And that includes gerim. Kehal Hashem, on the other hand, is a term that the Torah uses, and it has a specific definition, which excludes gerim. Source for “Klal Yisroel” is in the Haggadah: The Ben Rosha removed himself from the “Klal” – which is Klal Yisroel. When my Rosh Yeshiva said that Chabad is not part of Klal Yisroel, he meant that they are like the Ben Rosha. No, it is not klal yisroel. It is an ad hoc klal, which he has invented right now for the purpose of his question, and from which he has excluded himself. He is certainly part of klal yisroel, which is why he has to be at the seder, and why his father has to tell him about yetzias mitzrayim. personally, I like fiery personalities, and I’m Ashkenazic. So, if that’s okay, then it’s okay for Brazilians to marry Americans/Europeans; Israelis to Americans, Europeans, Brazilians; Geza to BTza; etc. DO not compare apples to oranges. Sefardic and Ashkenazic intermarriages are fine because it is rare to find “pure” Sefardim (technically only Spanish Jews from Sefard are Sefardim, and they were expelled to other countries) who did not intermarry. Likewise it is rare to find “pure” Ashkenazim (technically German Jews are the only actual Ashkenazim). Therefore, if Sefardic and Ashkenazic families intermarry, there is no problem with it. However, there IS a serious problem when a FFB marries a BT or a Ger and give up on Yichus which is paramount by shidduchim – unless, as repeatedly stated, the FFB has a defect that requires a lowering of the standards. You may think it is a “shtus” that “likes should marry likes”, but that is also the “natural” way of the world, as the expression goes; Birds of a feather flock together. The Rebbe says that if coming form different communities is the only impediment, and everything else looks good, then it shouldn’t be allowed to stop the shidduch, since many times it has worked out. That doesn’t mean one shouldn’t take it into account when first considering whom to introduce. It’s often a good indicator that the shiduch is not likely be appropriate. If it proves otherwise, then there is no problem. It’s like saying that a spot of rust on a can is an indicator that something might be wrong inside. But if you open the can and carefully inspect the contents and find that everything is OK, then you can eat it despite the rust. K: please give sources to your statements about converts. If there are any other sources that I did not provide, please request and bli neder I will provide. I stressed that Yichus (the genetic / bloodline) is of paramount importance in shidduchim – this is actually from the Lubavitcher Rebbe ZT”L in Sefer Lekutei Sichos Vol. 12, Parshas Acharei Mos, page 87. Many am ha’aratzim think that yichus is meaningless. But the Torah view is EXACTLY the opposite of these empty people. It gets scary when a real snag like k starts quoting sichos and know the sichos better than us. This article brings out such true things that we need be aware of in our daily life!!!! Thank for posting this !!!!! I think it isn’t “Mr. K” but “Ms. K”. These days the ladies know more than the men. This is a really poorly written article. I guess you never learned much about lashon hara in Bais Yaakov, because your article is riddled with it. 1)Your story about your non-Lubavitch friend…lashon hara, and by the way– not racism! 2) Do you realize what you did by repeating what ONE shadchan said about people from Brazil? Just think of people reading this who will now say no to prospective shidduchim from Brazil. Or better yet, if you tell people they are a certain way and can’t help it, that’s how they’re gonna be. So you just did a disservice to Brazilian men too. To answer your closing hope, the world would be a little more Lubavitch if Lubavitch didnt just talk the talk, but walk the walk too. Sorry, there is NO PLACE for this in Klal Yisrael. דכתיב (דברים יז טו): “מקרב אחיך תשים עליך מלך – ממובחר שבאחיך which excludes a Ger, who is not “from the best” of our brothers. I am confused by some of the comments. Didn’t Avrohom Oveenu marry a convert? Didn’t Moshe Rabbeinu marry a convert? Didn’t Dovid Hamelech descend from a convert? Is a Kohain better than a Levi? A Levi better than an Yisroel? Aren’t some of The Rebbe’s Shluchim BTs? Don’t allow the comments to confuse you. your facts are correct and keep them! its the pple who have problems and messing everyone into it. regarding your question is a kohen better then a levi etc… no,everyone has his role if its a kohen, levi or yisrael. kohen is higher then a levi or yisrael since Hashem gave them the role to serve Him in the bais hamikdash but if u are a yisrael that doesn’t mean u are on a “lower” status, it means Hashem made u a yisrael to serve Him through being a yisrael and not a kohen. If you are confused, it is because you have little knowledge. It is far more dangerous to have a little knowledge than having no knowledge at all. This is apropos especially to halachic matters as illustrated by the recent discussion about the so called Shabbos “Kosher” Switch when many a’am ha’ratzim compared it to opening a fridge on shabbos etc. You have limited knowledge of a FEW (less than 1%!!!) of our historic leaders who married or descended from converts. Each has a story and explanation, just do a bit of learning and you will discover. Avrohom – before Mattan Torah, married his bloodline and genetic relative. He also insisted that Yitzchok marry from his genetic yichus and NOT take a local “convert”. Moshe – also before Mattan Torah, required that Moshe agree to Yisro’s demand that he “give up” one son to Avoda Zarah, Moshe’s children wee the only Jews who were not at Mattan Torah (according to opinion that Yisro came to the desert after Mattan Torah), Moshe did not have great “nachas” from his children/off-spring. Dovid – although he descended from geirim, he was one of many such descendants, many of which were not “up to par” having the genetic “mutations” of foreign bloodlines. A Kohen in Torah gets the first aliyah to the Torah and is honored first with bentching BECAUSE he is “holier” than a Levi or Yisroel. Shluchim BT’s – but “Head Shluchim” are FORBIDDEN (according to Halacha) to be Gerim because a Ger cannot have a position of authority among Yidden, as paskened clearly in Rambam. This might shock the unlearned people and some might feel offended by it but Torah is not a man-made religion that panders to your sense of values and morals which is based on Goyishkeit, rather we must conform to the Divine and reset out compass in the direction of Halacha. to: k “if u are confused its because u have little knowledge…” how about there are pple out there who like to confuse others because THEY are the ones who are confused! example: u wrote shluchim’s bt and then give an example of a ger – what does one have to do with the other and btw its incorrect about a ger for we have a clear example of Rabbi Akiva who came from gerim. as for your example from moshe and being displeased by his sons um… proof please! Michiyahu founded an idolatrous cult. He had an idol and built a temple for this purpose. He sought someone with leadership qualities, charisma and spirituality to lead his group. After a long search he met Yehonasan ben Gershon ben Menashe, of the House of Levi. “Menashe” is really a disguised form of “Moshe”. Yehonasan was the grandson of Moshe Rabeinu! You can further note that in Bamidbar 3:1-3 when listing the “children of Moshe” the possuk lists the children of Aharon. I wrote a comment on BT shluchim that BT shluchim is fine, but a Ger “head shaliach” is not acceptable. Seems you did not get that and became confused. Seems “stay straight!” disputes the pssuk of CHumash and our Chazal regarding cohen’s holiness. The possuk of “v’kidashto” Vayikra 21:8 (you shall make the cohen holy). Chazal in Horayos 12b say that we demonstrate the extra holiness of the cohen by honoring him first for all things holy- due to his status of extra holiness. Due to a cohen’s HIGHER status, he cannot marry a divorcee or enter a cemetery – even bizman hazeh! So a cohen is “higher” than a yisroel who is “lower” in kedusha. You may not like it, but Torah does not require your approval. “Stay straight!” has a kasha and based on his kasha he concludes that I am incorrect (it is like saying “if the world is round I have a kasha, why don’t people fall off the lower parts of it – therefore the world must be flat”). Does your “kasha” alter halacha? Does your “kasha” shlog-op the Gemorah, Rambam and Poskim? It is the other way around. Halacha is 100% emes. If you have a “kasha” then you are deficient and must find the answer. When someone “knows” something (and I use the term loosely because how much do you know of R’ Akiva or his lineage? ), he feels he is now an “expert” in Torah and Halacha. He can form his own opinions and even draw conclusions. He now can argue with a Ben Torah (such as myself) and even argue with the Poskim, because he “knows” better! I won’t address the symptom – your “kasha”, but the illness. I suggest you open a sefer (make a shechiyonu – since it is over 30 days since last used) and learn enough to realize that you are a a’am ha’aretz d’oraysa, d’rabbon, and l’chol hadayos you fulfil this status mehadrin min hamehadrin. Yes, Rabbi Akiva was descended from gerim, and that is precisely why he was not chosen to be the nossi! On the other hand Shmaya and Avtalyon were also descended of gerim (or perhaps were themselves gerim), and they were nossi and av bes din, because there simply wasn’t anyone else available who was even nearly as qualified as them, so there was no choice but to make an exception to the rule. So contra K it is possible to have a ger in a position of authority, if the person is so much more qualified than anyone else that one can say the public needs him. But he’s right that this would be an exception, and the general rule is against it. Milhouse, you mentioned Shmaya and Avtalyon – their appointment to “shrorah” is explained in MANY seforim. Likewise Devorah Hanoveya is also discussed in MANY places including Rishonim (Tosfos etc.) as any ben Torah would know. Reb Moshe also has a teshuva about a woman being appointed a mashgiach for kashrus when she replaced her husband’s position and this was her sole source of parnasa. There Reb Moshe defines the issue of shrorah and provides several qualifications. I am unsure how “Head Shaliach” authority works, but I suspect it may fit with that teshuva. K, I gave the reason Shmaya and Avtalyon were allowed to hold positions of sroroh (not “shroroh”!) It was because the public needed them, since there wasn’t anyone else who could have done the job even nearly as well as they did. The same heter would apply to a woman. But it is an exception to the rule. I know the teshuva you mention, and there’s no need to be mysterious about it. He defines sroroh as not being accountable to anyone. A head shliach is accountable to the Rebbe, so when the Rebbe was able to discipline people there’s no question that it wasn’t a sroroh. It’s debatable whether now it is. “Srorah” or “shrorah” – depends if your gemorrah has nekudos. A chabasker once asked me why I pronounced the brocha: sameach tsamach instead of his way: samach tsamach? I answered because thats how it is written in my gemarah (kesubos). You shouldn’t need nekudos to know that it’s a sin, not a shin. The root is ש-ר-ר, to govern, not ש-י-ר, to sing, or ש-ו-ר, to look. As in להיות כל איש שורר בביתו, not as in אשורר שירה. In parts of TRUE Lita we exchange the shin for the sin (example “Ah gutten sabbes”) and vice versa. Relevant to the discussion of shidduchim is the holy status of a cohen. Yes, it is a Torah and Halachic FACT that cohanim ARE holier than yisroelim and have special “rules” such as a cohen cannot marry a divorcee. Even the daughter of a cohen has a special kedusha and therefore Chazal ( Pesachim 49) tell us that she should marry a Talmid Chochom. Chazal tell us that if she marries an am ha’aretz, one of them may die! Moron Harav Ovadya Yossef ZTZ”L passken that this is not a drush, but actual halacha! Returning to the deficiencies of a Ger in the context of shidduchim: a cohen is prohibited to a geyores (Vayikra 21:6,7 as explained by Chazal). So are you saying that a shadchan should only redd talmidei chachomim to daughters of cohanim? That limits the choices! Not just R Ovadyah Yossef. The Rebbe also took this seriously, and instructed that a yisroel who wants to marry a kohen’s daughter should at least know one mesechta. In Chabad, “one mesechta” is a talmid chochom??? Talk about low standards! To:k YOU did not write in your first reply bt is fine. pls go and reread your first reply and not only that u went into speaking about gerim…Rabbi Akiva was a “head shliach” over 24,000 students! most important question i have for u and i’m trying to say it nicely: you are very strong into litvish should marry/stay litvish especially because u are, WHAT ARE U DOING ON A CHABAD LUBAVITCH WEBSITE? Haven’t you heard of spreading yiddisjhkeit, as as we Litvish call it: being ma’arbitz Torah. I am spreading the light of Torah in some of the darkest places, where people think they have a right to reject parts of Torah or Halacha that does not fit neatly in their value system, or if they have a question on a Halacha it proves the Halacha is wrong. It is a chiyuv and privilege to donate ma’aser from my precious time to educate poshim and kofrim (kefira is a term Milhouse used). To:k wow i can’t believe who you REALLY are k! something is really wrong!okay this will be my last comment to you since u will keep on telling me what i state as proofs is wrong so i will not argue further yet with full faith in whatever i wrote was according with Hashem and His Torah. the way u responded to my comments u can clearly see the truth hurts! now about Rabbi Akiva u can look it up in the Lubavitcher rebbe’s sichos of 5740 which he clearly brings what i wrote so my “kasha” was based on the Rebbe’s knowledge. as u litvish call that u can too mekariv and that’s what u are “doing” the original idea came from OUR LUBAVITCHER REBBE! so how come litvish took the Rebbe’s idea if they are only suppose to stick to litvish and their ideas? for your marbitz torah we have Hashem’s torah and our Rebbe’s chassidus and for those pple who do reject torah its wrong yes but your proofs of torah are more not helping them then helping them. for between u and me what i bring as proofs from torah u say i am translating torah so why cant i say the same about your proofs? i will end off for the hope and faith as our Rebbe says in the coming of Moshiach Then everything will be cleared! I am unaware of a tshuva from your Rebbe ZTZ”L on R’ Akiva nor do you bring a maareh mokom that can be checked. Firstly, R’ Akiva (ben Yossef) was not a ger, he was a DESCENDANT of gerim. Secondly, even a Ger MAY be permitted to be a maagid shiyur or a Rosh Yeshiva, as discussed in a printed Tshuva from Reb Moshe ZTZ”L since the position involves little more than basically teaching students. Point is, the kasha is no kasha. Yet you claim that the Rebbe ZTZ”L raised your “kasha”. I question that since I have greater respect for him than you do. Every statement I made is backed with a source, while you make Torah claims based on Svoras HaBeten. For that there are Tums. K, it’s possible that R Akiva was officially a ger, since if both his parents were gerim, or all four grandparents, then he would also be a ger. However the answer is as you write, that he was not in a position of independent authority. He was a teacher of Torah, and when they were looking for a nossi he was not eligible, precisely because of his descent from gerim. Does anyone know what “stay straight!” is talking about when he wrote: “Lubavitcher rebbe’s sichos of 5740 which he clearly brings what i wrote so my “kasha” was based on the Rebbe’s knowledge”???? To K #87. Your responses fail to address the concept of the “better”. Instead you use “holier”. You did not need to inform that you are “litvish”; your hubris gave it away. But don’t bother, your more going to to get hurt and messed up by K then setting straight with K. just u know the truth and stick to it and never allow anyone to convince u otherwise. Is “holier” NOT “better”??!! Do I need to start with alef bais – that “holy” is a ma’aleh, and the lack of holiness is a chisoron. A ma’aleh = better, a chisoron = worse. Is that beyond your comprehension? When you write comments, please try to make sure that you don’t put others down. If you don’t have something nice to say, just keep it to yourself. Torah must not be kept or swept hidden under the carpet. If someone feels “put down” by halacha, then complain to the Creator of the world. We do not need to be ashamed of anything in Torah or Halacha. 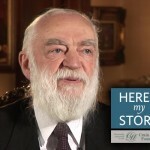 Someone ashamed of parts of Torah – shame on him! We must conform our values to Torah, not the other way around, of twisting Torah to fit with our values or morals (that we adopted from the goyim who bow to stones and wood). To K 112, you obviously can’t distinguish the difference between a behavior VS. the intrinsic value of a Jew. Every Jew is valuable and dear to HKB”H. But some are more valuable than others. Let me dare to ask, is a Rebbe as valuable and dear to both klal and HKB”H, as a mere chassid? That is EXACTLY what Korach claimed: Each Jew is equally holy. I seem to recall that EVEN the Tanya speaks of Jews who are INTRICATELY different (Benonie and Tzaddik). Certainly Korach cannot be of the same value as Moshe by ANY measurement. Overwhelmed by the number of comments by two or three people. Spare us by LIMITING THEM. I actually learned a great deal and enjoyed the multiple torah discussions contibuted by milhouse and K. This is a frum website and I appreciate torah based discussions and comments much more than yenta opinions. Very valuable. News Flash: No one is forcing you to read any of the comments. If any comments do not interest you, here’s what you do: Skip them! But why do you feel the need to shut down the voices of others? Is your comment more valid to be read than another’s?! I love reading the debates between Milhouse and K. Even when I don’t understand the subtler parts in their points,I enjoy the positive energy of scholarly debate. They both seem to know what they are talking about. Between the shaliach and yenta i’m sure your the same person and if its k herself i wont be shocked! I wouldn`t be shocked if Milhouse and “K” is the same person arguing with herself. It is very annoying when these obviously scholarly persons start citing chapter and verse for each point they make. How are us simple folks supposed to feel? Don’t we have a right to our simple opinions? It makes us all feel like simpletons and that is super annoying. wrong! because Hashem loves the simple pple especially when they make a bracha with pure kavanah and answer amen etc….as the story of the Besht being in the woods and in meditation of Hashem but to Hashem the answer of amen yehe shemai raba of a shoemaker and his wife with pure kavanah was more precious then anything to Hashem! To set the record straight, I am a “ben”-Torah, (not a “bas”-Torah), to be more explicit, a zochor (not a nekevah). Rabbi Akiva was NOT disqualified from being a Nossi because of being of being mezarah mezarah geirim.Dovid Hamelech was mezarah geirim. The Gemora relates that Rabban Gamliel was deposed and the new Nossi needed zechus ovos so Rabbon Gamliel not daven that something happen to him. Some say that R’Akiva was a descendant of geirim mebnei bonov of Sisra while Ramabam in the introduction to Mishne Torah says his father was a ger. if they are the most qualified for the job. that is how he understands Shmaya and Avtalyon, being Nossi and av bes din. I really get annoyed when people make up things of Torah or Halacha! The Talmud Yerushalmi is EXPLICIT as to why R’ Akiva was not appointed as Nossi – because he did not have Yichus! הלכו ומינו את ר’ אלעזר בן עזריה בישיבה. בן שש עשרה שנה [היה] ונתמלא כל ראשו שיבות, והיה ר’ עקיבה יושב ומצטער ואמ’: לא שהוא בן תורה יותר ממני אלא שהוא בן גדולים יותר ממני. אשרי אדם שזכו לו אבותיו, אשרי אדם שיש לו יתד במי להתלות בה. וכי מה היתה יתידתו של ר’ אלעזר בן עזריה? שהיה דור עשירי לעזרא. R’ Elozar had Yichus being 10 generation descendant from Ezra (he was Gehzah!! ), while R’ Akiva did not have such Yichus. This once again emphasis that genetic Yichus has significant value in Yiddishkeit. Indeed, on a matzayvah, often a person’s genetic Yichus is listed! Near the Lubavitcher Rebbe’s Ohel there is a section of people that have listed on their matayvah that they are “Neched” (grandchildren) of the BESHT. Talmud Yerushalmi, Brochos Ch 4, end of Halacha 1. Dovid Hamelech was not a ger; one of his eight great-grandparents was a giyores, but the other seven were not. Only someone who is descended entirely from gerim is a ger. And in the paternal line he had the best yichus possible: five generations from Nachshon ben Aminodov! Shmaya and Avtalyon were exceptions, because there was nobody else who could do the job. In Rabbi Akiva’s time there was someone else who could do it, perhaps not as well as he could, but well enough. If it were true that we could suspend this rule every time a ger or a woman happened to be the most qualified person for the job then we would never apply it at all! Of course we always want the best person for the job; if the woman or ger was not the best person then why would we even think of appointing them in the first place, and why would we need a law telling us not to? Obviously the law is only needed, and only applies, when the woman or ger is the best person, but there is someone else, not so good, who is also qualified. But if there is nobody else then we make an exception. Rav Moshe Feinstein in the new volume (Yoreh Deah IV #26 page 213) addresses the question of appointing a Ger as Rosh Yeshiva or Mashgiach. therefore we can not learn from their status. willing students. Whatever power they have is not viewed as Serarah and is therefore permitted. He specifically says this is not comparable to his psak concerning appointing a woman as mashgiach (which he says is genuine Serarah). Ger being a Rav or to be a Magid Shiur. He says that there is no problem for him to say a shiur in yeshiva (being a Rosh Yeshiva is problematic). However as far as being a rav he says it is appropriate not to take a Ger as a Rav if there is another person who is just as qualified. This is related to the point that today the status of Rav is considered an inherited position and is thus similar to that of king. A Ger however can be the community posek and even be called Moreh Tzedek since this is not a position of central authority and honor. ukedai bizayon vokotzef took the words out of my and many others’ mouths. Yasher Kochacha Asher Shibartem Clowns. Milhouse, In Chabad, “one mesechta” is a talmid chochom??? Talk about low standards! You are kidding, right? No, it’s an explicit gemoro: ואמר רבי יוחנן איזהו תלמיד חכם? כל ששואלין אותו הלכה בכל מקום ואומרה. למאי נפקא מינה? למנוייה פרנס על הציבור: אי בחדא מסכתא, באתריה , אי בכוליה תנויה: בריש מתיבתא. Another gemoro says: על מנת שאני ‘תלמיד’ – אין אומרים כשמעון בן עזאי וכשמעון בן זומא, אלא כל ששואלין אותו בכל מקום דבר אחד בלימודו ואומרו, ואפילו במסכתא דכלה, and the Rambam explains that מסכתא דכלה means: בהלכות החג שמלמדין אותן ברבים מדברים הקלים סמוך לחג, כדי שיהיו כל העם בקיאין בהן. If knowing one mesechta qualifies for a talmid chochom, with a dozen mesechta under my belt, I am qualified to me on Moetzes Gedolei Hatorah! Shach, Choshen Mishpat 83:41, who writes concening one matter (making an oath in beis din) that a talmid chacham is somebody who wears tefillin. However, in general the definition of a talmid chacham is somebody who is able to rule halachos, is G-d fearing, and is worthy of teaching the multitudes (Rivash 1:147). Or Le-Zion (Vol. 2, 8:1, in footnote) adds that it is sufficient that he rules halachos from sefarim. Hard to accept that l’halacha l’maaseh, one mesechta qualifies as a T.Ch. in such examples of halachos! You left out the most relevant here, which is if someone makes his marriage conditional on his being a “talmid”; the gemoro says that if he can answer any question on one topic, even if it’s only the laws that are taught in public around yomtov time, then he counts. That is the basis of the Tzemach Tzedek’s psak that knowing one mesechta is enough to be allowed to marry a bas kohen. I enjoyed reading these comments and getting the perspective of the two view points of a chassid (milhouse) and a snag (k). The subtle variations of their points show the difference of approach between chassidus and musser to matters of halacha. They both agree while slightly disagreeing on the same issues. This is repeated over and over as they bounce to side topics within the discussion. It really was an amazing read for me. Thanks for printing. If it includes even כל אשר בשם ישראל יכונה, as Milhouse claims, the Ben Rosha would not be excluded just because he mocks the “avodah”. To be part of “Klal Yisroel” one must fully accept all of Torah and Mitzvos. Who told you that the “klal” referred to is klal yisroel? Where did you get such a strange idea? The “klal” in question is the set of those to whom this avodah pertains; the people he is addressing with לכם. He is the one defining an ad hoc group, and setting himself outside it. If the ben rosho were not part of klal yisroel he would not be at the seder, and his father would have no obligation to answer his question. The “opposite” of klal is prat. The Rosha removed himself from the Klal. The term Klal Yisroel is the collective of all Yidden – provided they did not remove themselves from the klal, as the Rosha did. Someone who is not part of the klal can still be at the Seder – as we see many kofrim conduct the “traditional” seder. As a side note: If the Ben Rosha would be an Arel (uncircumcised) he would be excluded from the Seder. The Klal is “Lochen” (the collective “you”) which are the members of Klal Yisroel who are shomrei Torah u’Mitzvos. That is the poshet pshat of Klal Yisroel. Note: It is “Klal” Yisroel, not “Khal” Yisroel (as in Khal Hashem). Since when? You are making up categories, and then trying to prove things with them. It is blindingly obvious that the “klal” from which the ben rosho has excluded himself is an ad hoc “klal” that he defined on the spot, i.e. those who have “ho’avodoh hazos”. It is not a generally-agreed-upon entity that exists outside the scope of his question. 2. An orel is not excluded from the seder! Where did you get such a wrong idea? An orel is obligated in matzoh, moror, four kosos, hagodoh, and hallel, just like every other Jew. The only thing he’s excluded from is eating the korban pesach. So how could he not be at the seder? 3. Who mentioned anything about “Khal Yisroel”? I am not aware of any such term, but I am aware of “Khal Adas Yisroel”, which does include gerim, and is therefore not the same as “Khal Hashem”.